by Bloomfield, Molly M., Stephens, Lawrence J.
Bloomfield, Molly M., Stephens, Lawrence J. Adopting a conversational style, this chemistry text is aimed at allied health or non-science students. 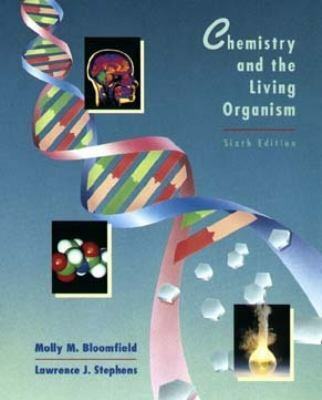 Each chapter provides step-by-step examples to take the reader through the required chemical and mathematical skills.Bloomfield, Molly M. is the author of 'Chemistry and the Living Organism', published 1995 under ISBN 9780471107774 and ISBN 0471107778.